In celebration of our new Airbus A321 Transcontinental aircraft, flying early next year, we’re offering you the opportunity to earn up to 15,000 bonus miles for round-trip travel on American between New York (JFK) and Los Angeles between January 7 and March 31, 2014. With the introduction of the new A321T on January 7, we will be the only carrier to offer you Three-Class service between JFK-LAX, with 13 daily flights by summer 2014 on this plane. 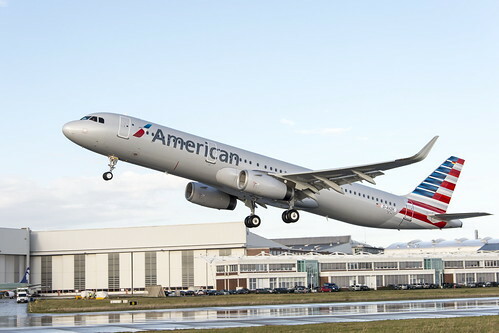 Beginning in March, the A321T will also fly JFK-San Francisco. Register prior to travel. Go here to sign up for the offer and for complete details. Cool. I’m excited to see these planes up close. Might have to book while the bonus is hot.